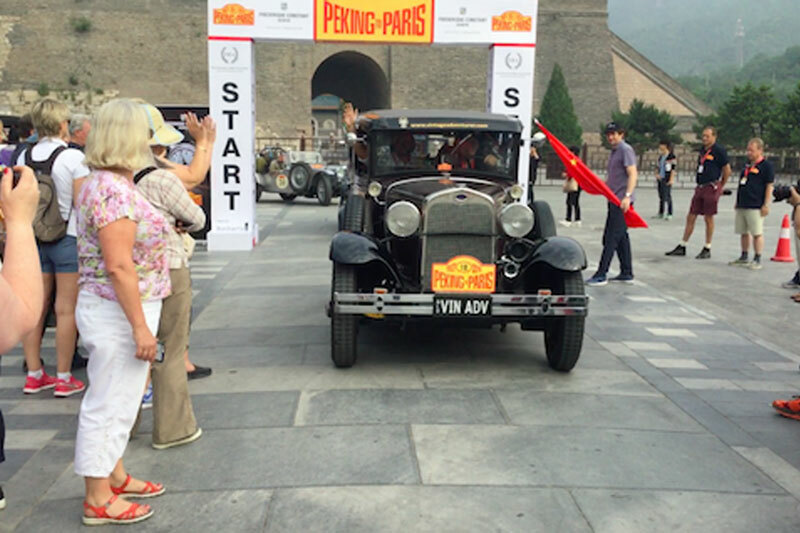 The Peking to Paris Rally got under way on Sunday 12th June at the epic starting line at the Great Wall of China. ‘Ruby’ the Ford Model A is car 18, the same number Rod had in 2013, and therefore left at 08:09:30am. The first two days were mainly on tarmac and about getting out of Beijing and towards the border to Mongolia, where the competition would really start – and it sure did! After the border crossing, there were two tests before our first night under canvas. The next day, the pace stepped up even more with three tests to challenge in very unpredictable terrain. Rod said: “It was a very interesting day. We left camping HQ in the Mongolian Desert around 7am after a warm breakfast put together by the Nomad caterers. Out on the dirt and racks again like yesterday but today was to turn out different. “When we arrived to do the first of the ‘speed’ sections, I was very subdued and was reserving the car until the second stage which was reasonably OK track wise, we got up to 120kph at one stage on the dirt track to get past a dust machine in front and as we continued on we went over a sharp rise and there in front of us was a massive ditch and in we went and crash bang out the other side in the air then down again and into another ditch which through us sideways! “We eventually stopped at the check point to survey the damage. Nothing good I have to say – all shock absorbers wrecked, all shock mounts wrecked and then I saw the worst thing the right hand front wheel was tilted in at the top by about 100mm. The front axle was bent and still is but tomorrow morning at 6am we will be at a workshop to fix it…if we can. “I have ordered parts from Don Snyder in the US to be flown into Novosibirsk in Russia where we will be on day 13/14. Meantime we have to hobble on if we can’t fix it tomorrow.